Vladimir Voevodin is Deputy Director of Research Computing Center at Lomonosov Moscow State University, Head of the Department “Supercomputers and Quantum Informatics” at the Computational Mathematics and Cybernetics Faculty of MSU, professor, Corresponding Member of the Russian Academy of Sciences. Vl.Voevodin specializes in parallel computing, supercomputing, extreme computing, program tuning and optimization, fine information and parallel structure of algorithms and programs, parallel programming technologies, scalability and efficiency of supercomputers and applications, supercomputing co-design technologies, software tools for parallel computers, and supercomputing education. His research, experience and knowledge became a basis for the supercomputing center of Moscow State University, which was founded in 1999 and is currently the largest supercomputing center in Russia. He is a leader of a large number of national and international supercomputing projects and has contributed to the design and implementation of the following tools, software packages, systems and online resources: V-Ray, X-Com, AGORA, Parallel.ru, hpc-education.ru, hpc-russia.ru, LINEAL, Sigma, Top50, HOPSA, OctoShell, Octotron, AlgoWiki. He has published more than 100 scientific papers with 4 books among them. Vl. Voevodin is one of the founders of Supercomputing Consortium of Russian Universities established in 2008, which currently comprises more than 60 members. 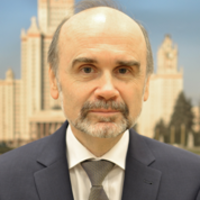 He is a leader of the major national activities on Supercomputing Education in Russia and General Chair of the largest Russian supercomputing conference “Russian Supercomputing Days”.